NASCAR CEO Brian France was arrested for driving under the influence and possession of Oxycodone, an opioid painkiller, according to TMZ Sports. TMZ, in its style, reported that France “bombed” a field sobriety test on Long Island. We’re told France’s blood alcohol level was more than TWICE the legal limit. Cops say during the stop, they found oxycodone pills during a search of his person. France was arrested and hauled to a nearby station where he was book for DUI and criminal possession of a controlled substance in the 7th degree. France spent the night in jail and was released Monday morning after his arraignment. We don’t know if France has a previous arrest record. He did, however, cite his friend Donald Trump during the arrest, TMZ reported. Brian Z. France was arrested for “aggravated driving while intoxicated and criminal possession of a controlled substance in the 7th degree,” the release reads. The release goes on to note that France was arrested after failing to stop his 2017 Lexus at a stop sign, whereupon the police determined he was intoxicated. “We are aware of an incident that occurred last night and are in the process of gathering information. We take this as a serious matter and will issue a statement after we have all of the facts,” NASCAR said in an email to Jalopnik. Now, NASCAR is doing everything it can, in a controlled way, to clean up it’s drug image although its CEO, Brian France, who has been connected with drugs on more than one occasion. 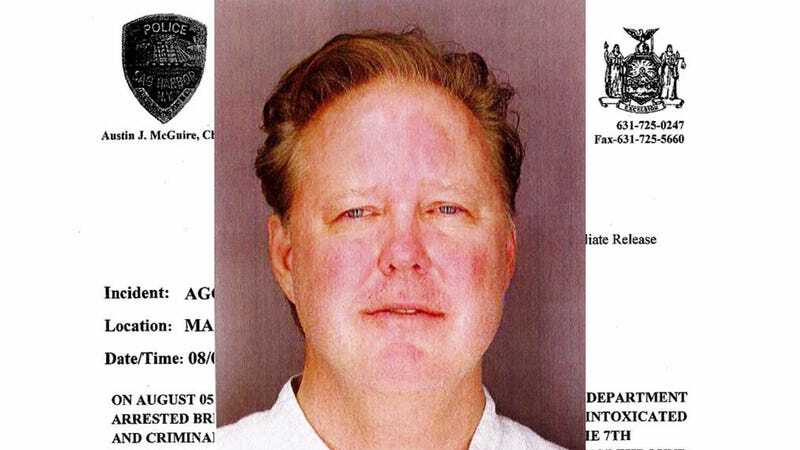 In the late ‘90s, I wrote a story in Speedway Scene, a weekly motorsports trade publication, that accused Brian France, son of Bill France Jr., of checking into the Betty Ford Clinic, near Los Angeles, Calif., for drug rehabilitation. NASCAR called me on the carpet for the story, but never did anything, except having my publisher, Val LeSieur, to call Betty Jane France, Brian’s mother, and apologize for the story. All the time, the rest of them, gathered at that meeting in Daytona Beach, Fla., were laughing. Later, I was told by a high-ranking NASCAR executive, no longer employed by NASCAR, the only thing wrong with the story was that Brian France had checked into the Betty Ford Clinic for drug rehabilitation, but under an assumed name. I never have been able to find out that name to this date. A nurse called me and said she had worked for the Betty Ford Clinic at the time Brian France checked in. None of the staff knew who France was because he wasn’t using his real name. Now that NASCAR has two Cup races at the Auto Club Speedway in Fontana, Calif., and since France has made it clear he wants a National Football League (NFL) franchise for Los Angeles, his picture is widely circulated in the area in daily newspapers and on TV. The book goes on to allege that France was once arrested for drug possession in South Carolina, but NASCAR was able to convince state troopers to drop the case.